With over 20 full-length albums, Jute Gyte, the pseudonym of Adam Kalmbach has explored the weird and abstract corners of black metal and bridged the gaps with harsh electronics. His latest release Vast Chains is a continuation of this vibrant and often times unforgiving journey. Here he discusses the inner workings of Jute Gyte and Vast Chains. 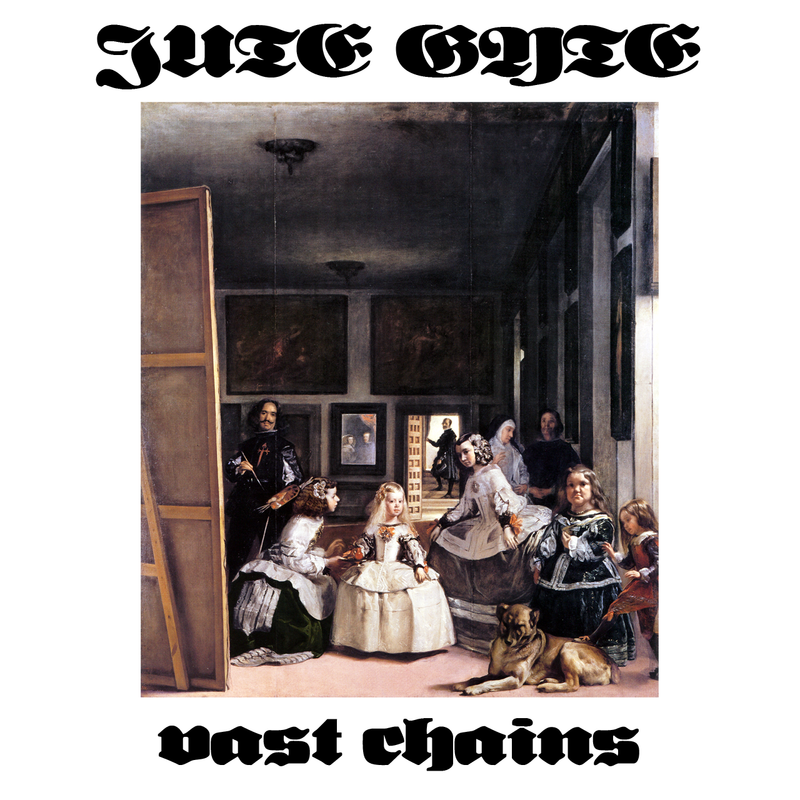 Black metal seems to be the first genre that springs to mind you first listen to one of your latest albums but Jute Gyte is anything but conventional or confined to one genre. How would you describe your own sound with regards to your latest album Vast Chains and your most recent material? I think of albums like Vast Chains and Discontinuities as densely contrapuntal, microtonally chromatic, rhythmically complex black metal. You are extremely prolific, however the gap between the release of Vast Chains last month and its predecessor Discontinuities is almost a year and sticks out when looking at your discography. What happened during this time? I knew that Discontinuities‘ microtonality would be bewildering and intimidating to some listeners, and so, even though I had finished music waiting in the wings, I chose to give listeners time to familiarise themselves with the new sound-world through repeated listening before presenting them with further material. You’ve spoken on quality over quantity, yet you have somehow managed to accomplish both. How much time do you spend writing and recording? I’m pleased/relieved that you think so. I spend the bulk of my time thinking about music, which is the heart of pre-compositional planning. I spend much more time writing, and editing recorded material, than I do actually recording – I find recording terribly tedious. That said, as I’ve mentioned in other interviews, I don’t think the quantity of my output is really so exceptional, given that I don’t have bandmates to coordinate with, I record my own music, and I don’t tour. Your albums are usually long too. Does any material ever get discarded? What’s your approach to quality control? A significant amount of material goes unused. In my metal work, the discarded material is not usually in the form of discrete finished tracks; instead, the tracks that end up on the album go through a long winnowing period where riffs or sections that don’t work are removed or replaced by new things. In my electronic work, however, the finished but unreleased tracks easily outnumber the released tracks. You’re a one man “band”, which clearly helps your prolific nature as you control everything that happens in Jute Gyte. Have you ever had any aspirations to bring new musicians into the fold to collaborate or even play live? I am uninterested in playing music with others. To do so would be to give up a kind of omniscient control – a knowledge of and power over everything that is happening in a given piece of music – that I really need if I’m to write the kind of music I want to write. I am also disinterested in playing live. While I understand the economic impetus for live performance, it seems backwards and tragic for artists to spend so much time recreating past works instead of creating new works. Vast Chains and your first couple of records are quite different to one another. First album Apidya for example is rooted in many electronic, dark ambient and harsh noise elements and indeed electronics feature in your latest music too. Which came first you as a music fan and musician – black metal or electronic music? Electronic music came first for me as both a listener and a musician, in the form of IDM and the more easily-accessible end of industrial music. These led to “real” industrial, noise, dark ambient, power electronics, which dovetailed with a growing awareness of extreme metal. I was becoming cognisant of all these styles at the tail-end of an unusual era where some of the big metal labels were attempting a crossover with extreme electronic music – Relapse (as Release) was putting out great Merzbow and Dissecting Table albums that had a big effect on me around the same time that I first heard Burzum. How do you go about constructing songs at the very beginning? Do you have any kind of plan set out or is there a lot of improv? Pre-compositional planning varies from track to track. Sometimes I start by determining a guitar tuning or tunings. Other times I think of a distance model to use in generating a scale, or an interval series or a way to manipulate a series. In these cases once I have a basic premise I can start posing questions, like problems to be solved, as a way to navigate the musical space and exhaust the premise’s possibilities. For instance, if I start out by choosing a tuning, I might then decide to play in a (synthetic) scale that uses only the intervals not represented in the tuning, or vice versa. Alternately, a riff might come to mind fully-formed, in which case I would refine it and create variations and counter-riffs, which is just another way of working out the possibilities inherent in the musical idea. Increasingly I write out charts, matrices, etc. or transcribe ideas in integer notation (traditional notation is made for tonal music and the various attempts at microtonal notation represent one retrofitting too many, in my opinion) to help keep track of things or work through ideas. That said, I do like to improvise riffs while recording, if for no other reason than to stave off recording-related boredom, and they make up maybe 20-25% of the riffing you hear in my music. 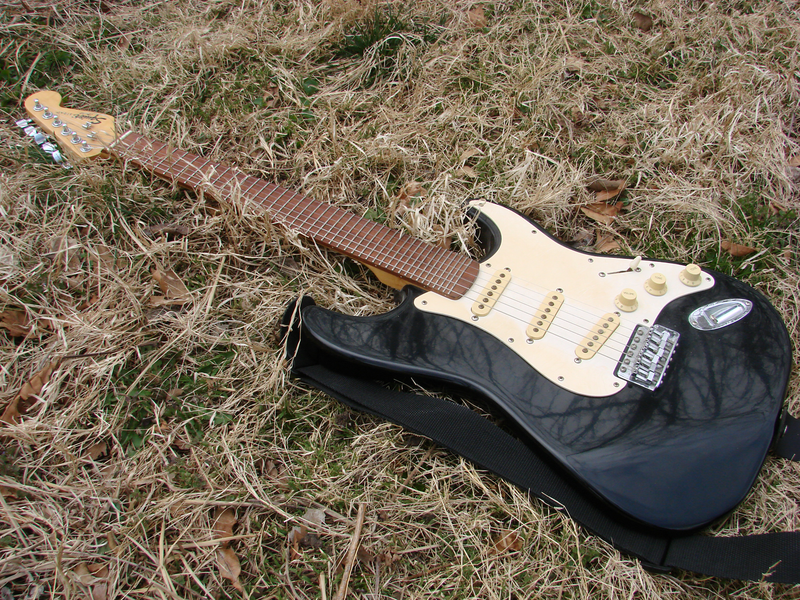 Talk us through the guitar you use on Jute Gyte records. The guitar is a cheap Fender Squire retrofitted with a handmade 24TET (this means that there are 24 equally-spaced pitches in an octave as opposed to the 12 of most western music) microtonal fretboard by Ron Sword of Sword Guitars. He did a wonderful job and if you are in the market for such an instrument I recommend him. You’ve mentioned in a previous interview your interest in classical music and its influence on you. How has this played a role on the latest album and what other influences do you feel are the strongest on Jute Gyte? A really important thing I’ve gotten from classical music is a post-tonal, value-neutral approach to chromaticism, as opposed to the limiting tonal binary of consonance/dissonance. The latter conception brings all sorts of archaic connotations into play, labelling chromatic interval combinations as “dissonant” and thus subsidiary, unstable, tension-inducing, emotionally negative, etc. I can’t imagine writing music within such an aesthetic straitjacket, and I don’t and can’t hear my music, which is highly (microtonally) chromatic, this way. I find it much more useful to accept complex groups of intervals as valid in themselves and appreciable for the range of colors they provide. When I listen to Vast Chains I hear a broad range of colours and moods, all generated from emancipated microtonal chromaticism. The two largest black metal influences on my work are without doubt Judas Iscariot and Burzum. I think of Burzum’s ‘Key to the Gate’ as a model for the sort of adventurous, forward thinking black metal I want to write, progressive in the true and not generic sense. Some other metal influences that come to mind are Godflesh, Today Is the Day, Disembowelment, Lugubrum, Grief. I hear a lot of Disembowelment in Vast Chains. Thematically and lyrically what do you explore in the music of Jute Gyte? Existential despair and loneliness, what Lovecraft called “conflict with time” – the recognition that a person is a limited mind imprisoned in a limited body at an arbitrary point in infinite space-time, scrambling to construct a life. Related to this is a concern with identity and change and with the difficulties of recognising and understanding oneself. You offer your music for free or “pay what you want” downloads. Why is this? I want to reach listeners and I have found that removing artificial barriers to access has broadened my audience. More importantly I feel very strongly that art should be available to everyone regardless of their (lack of) disposable income. Do many people opt to pay for digital copies of your music? An interesting question! “Many” is a relative word when we’re talking about the audience for weird black metal. Last month the number of paid downloads was ~10% the number of free downloads. You also have limited physical runs of your albums released on CDrs and in DVD cases. Many bands in the underground release their stuff on cassettes of late, especially demos. Why have you chosen this platform to physically present your music? I suppose I chose CDs because they are the physical format I actually listen to – I think cassettes and vinyl are cool but I don’t have a way to play them in my house. I like DVD cases because of the large amount of space they afford for exterior art. To be honest, the physical representation of the music is of diminished importance to me, though I take care with it in my work. The music, the sound coming out of the speakers, has to be sufficient in itself. 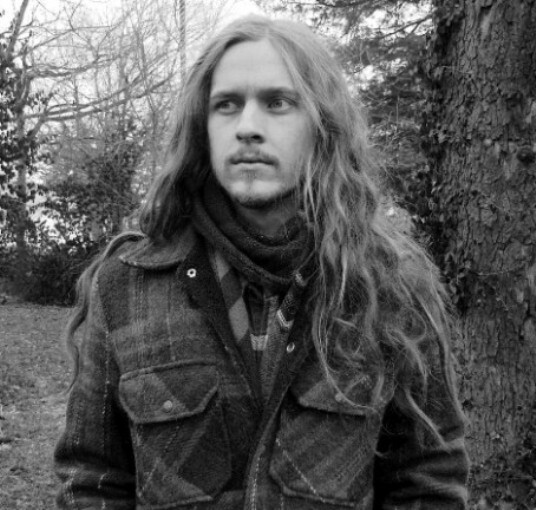 Tags: Adam Kalmbach, black metal, Jute Gyte, Vast Chains. Bookmark the permalink. Pingback: Mythe fondateur ou bizarrerie exceptionnelle ? ‘Det Som Engang Var’ de Burzum | I am deneb-tala !